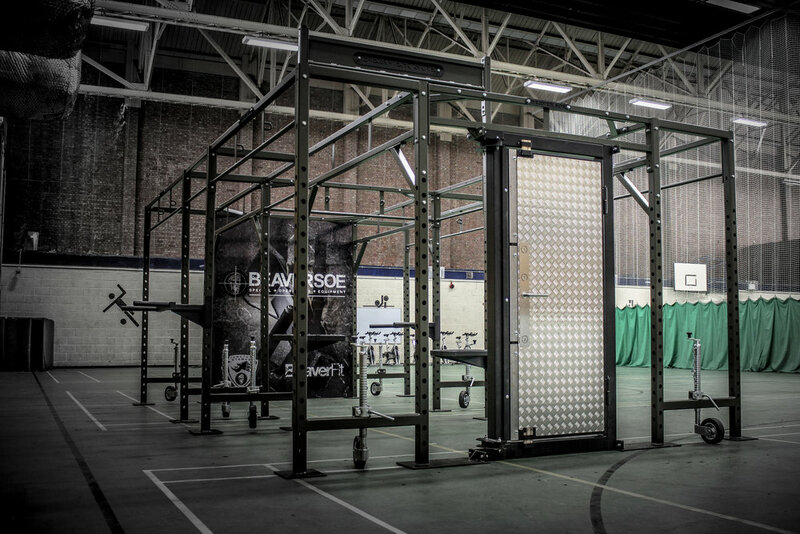 The Crusader Light Rig has two integrated power racks for safe and controlled squat lifting plus a full sized climbing wing. 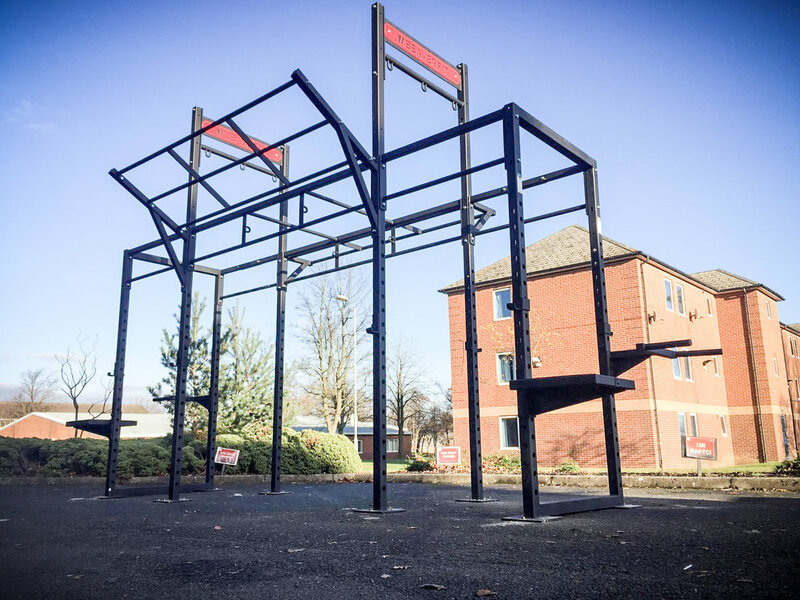 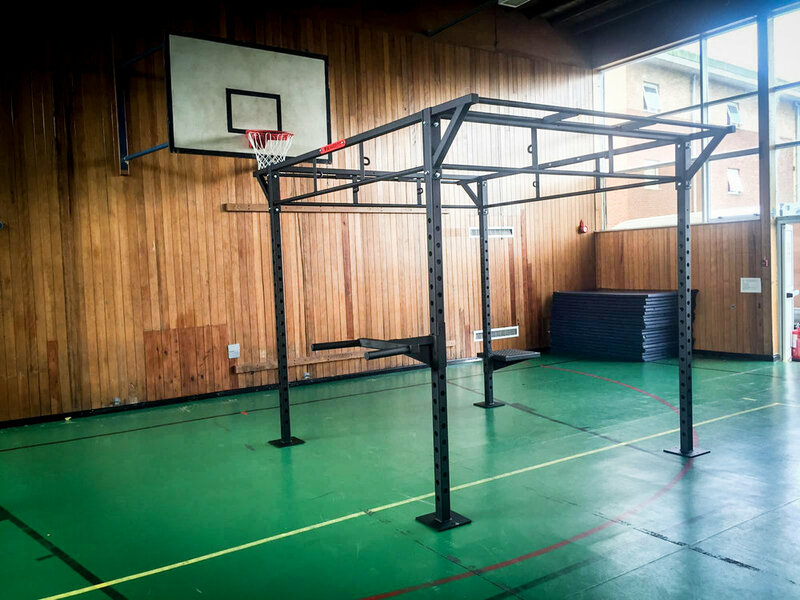 The climbing wing allowing wing climbs, pull-ups, muscle-ups and Olympic Ring work. 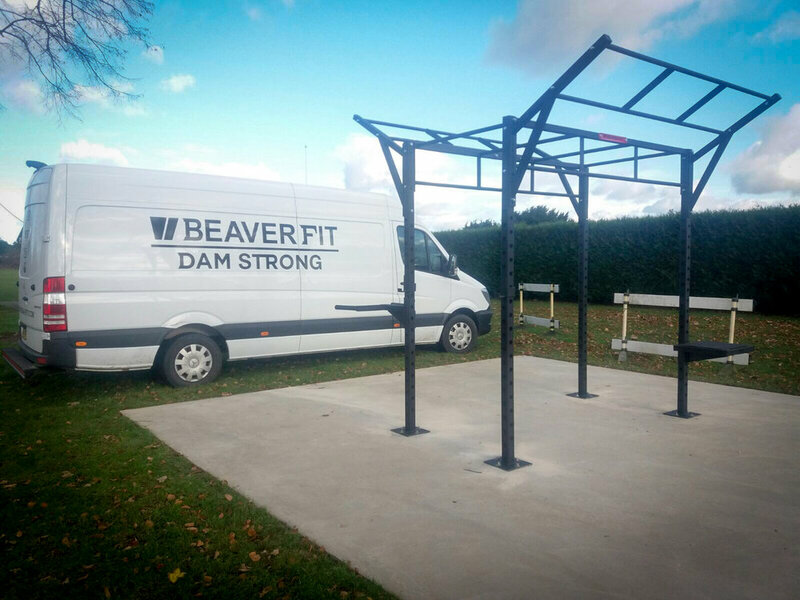 The rig accepts all BeaverFit Attachments.